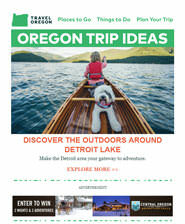 Whether you're planning an epic road trip or seeking a hideaway to escape it all, the Travel Oregon Official Visitor Guide includes everything you need to plan your trip here and see Oregon's magic come to life. Oregon’s Scenic Byways offer a taste of all the beauty this state has to offer. 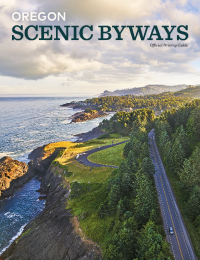 Whether you’re an outdoor enthusiast, a history buff or merely out for a relaxing drive, Oregon’s Scenic Byways will take you there. Where would you like us to send this? These questions are optional, but we’d love to get to know you better. If you'd prefer to not answer, you can just skip to submit. By checking the boxes, I consent to receive additional travel information from Travel Oregon partners when it is available. When are you likely to visit? 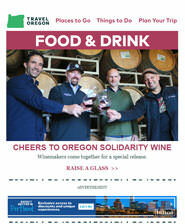 Much like cash from the tooth fairy or a chocolate on your pillow at a high-end resort, think of each Travel Oregon email as a monthly bonus. 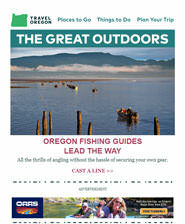 Stay in touch and get the inside scoop on things to do and places to go on your next Oregon trail adventure.